I had been considering buying the Anastasia Beverly Hills dipbrow pomade now for months, I have heard so many amazing things about the Anastasia Beverly Hills dipbrow pomade from the beauty world promising it to revolutionised your brow routine from day one but without a ABH counter in the UK I had to read up on existing reviews and research swatches to try to determine which shade would be best for my recently new ombre – dark blonde to platinum blonde – hair. I was stuck between the Taupe and Blonde shade and even up to clicking ‘buy now’ I was concerned my choice would not be the best match for me and then I wouldn’t be able to return it with it being such a high priced product but I took the risk and went with Blonde following the guidelines on the ABH website; in short it recommends blonde for darker blondes and taupe for platinum blondes. With my darker roots I determined the Blonde would be the best match on that basis. Basically, this was spot on and I’d recommend you all follow that advise if you’re stuck between the two shades. 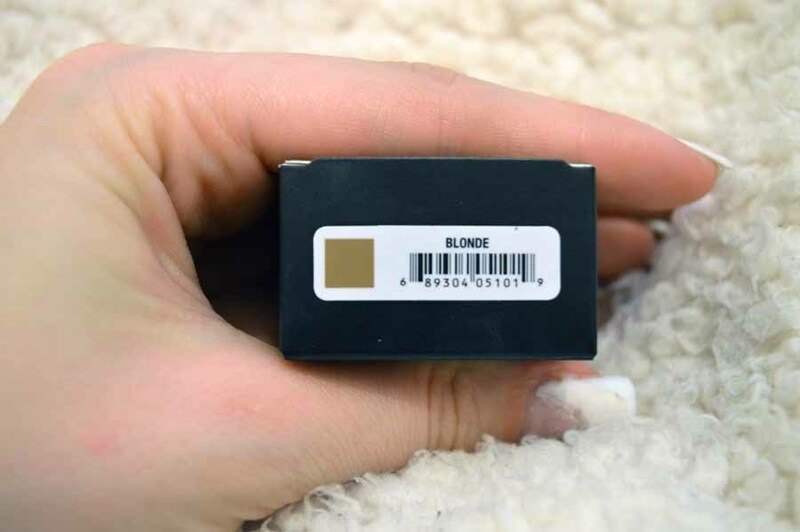 First Impressions: I was SO sceptical about trying this in case it wasn’t a match and when I applied it to my brows at first I was so overjoyed – IT IS A MATCH MADE IN HEAVEN. If I had not got my roots dyed to a darker blonde recently then taupe would have been the best match. 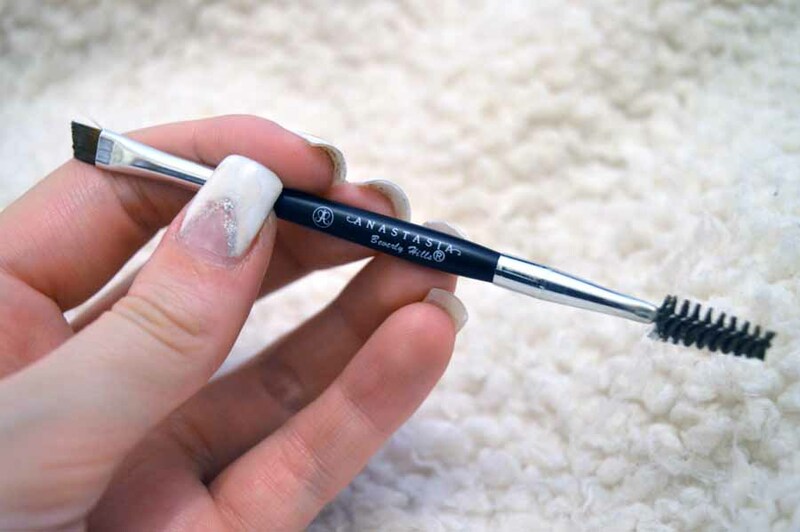 The consistency of the product feels so luxurious with its creamy gel-like feel and is so pigmented and by using the Anastasia Beverly Hills Brush #12 it glides on effortlessly. It compared to a gel eyeliner in feel which is unlike any other brow product I have reviewed but I’ve converted and wish I had got on the dipbrow bandwagon before now. I have only recently began to give my brows the attention they deserve and although this was £15 from Beauty Bay (which I thought was quite expensive) my first thoughts were to why I didn’t buy it sooner. Lots of people simply dismiss this product due to price but after buying the Soap and Glory Archery Brow Tint (see my review here) and it only lasting a month, I know this is going to last me at least a year and quite possibly two. I also need to comment on the packaging – it is gorgeous! 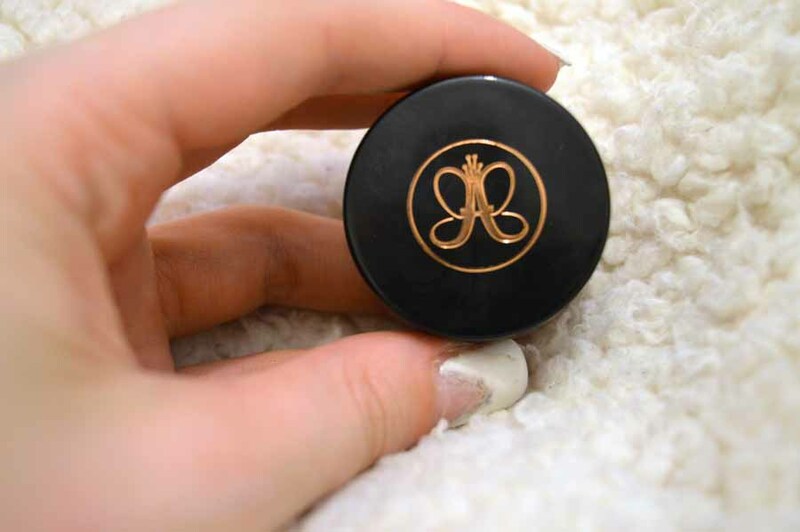 A glass pot with the ABH logo in rose gold on the products case. It feels like an fifty pound Chanel product and looks like one too, plus it comes with more product than I had anticipated which made my first impressions even greater. I was also terribly concerned that the swatches online make the blonde shade look far too warm, like a real ginger-ish colour that also deterred me from putting this in my basket but I’d say it is more of a taupe/brown mix with only a subtle hint of warmth on application. 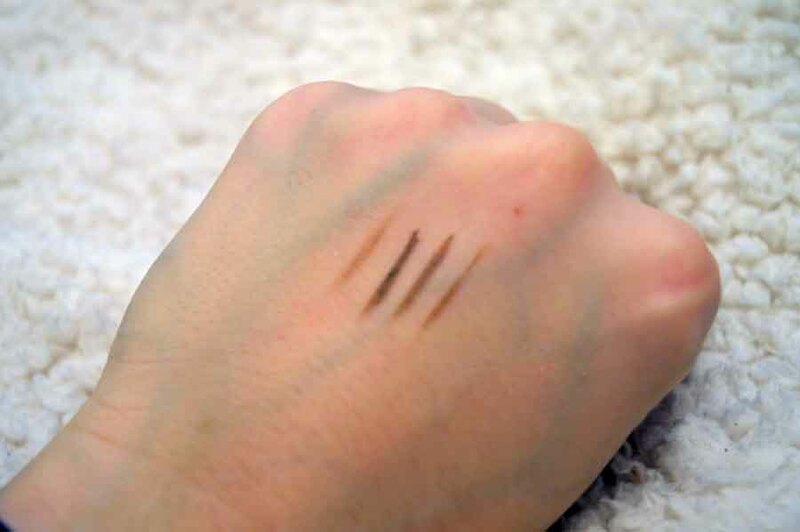 My hair has little warmth to it and this is a perfect match, it does say it can change depending on your natural brow colour but in my opinion the google swatches are rubbish and my image above gives a real truth to the products colour. Don’t deter because of the colour – I almost did but love this product. 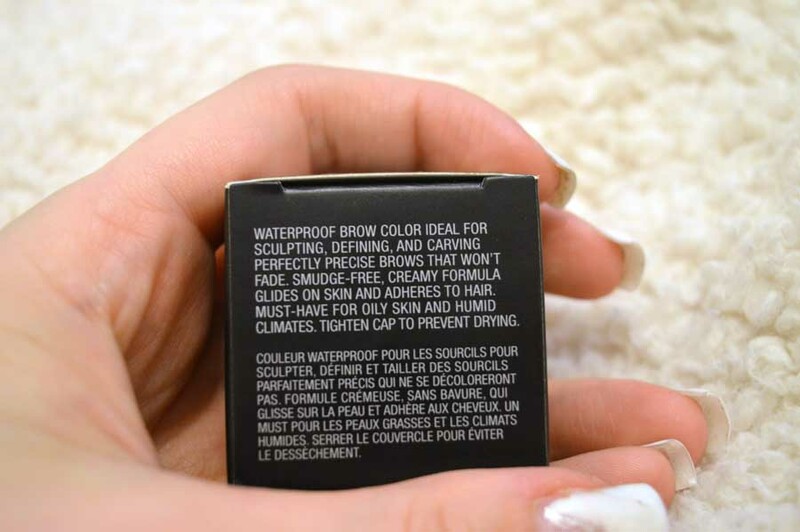 The product claims to be waterproof and although I have not been deep sea diving to prove this claim, when it has rained heavily on my way out my brows have not budget or even smudged which for me was a real concern with powder based brow kits. Not only is it super easy to apply, it stays on all day with only a partial fade on the tail area of the brows. It has a greater endurance than any other kit I have experimented with and definitely worth the money! It is in fact cheaper than MAC’s alternative by 50p and ABH has ‘the queen of eyebrows’ title so you can’t go wrong. To set my brows all I use is the clear gel that came in my MUA pro-brow kit and it works well to keep them all in place but when I run out I’ll be trying either the Rimmel London ‘Brow this Way’ transparent gel or simply a clear mascara to ensure hairs are set and wont go stray during a busy day. When I say the product is super pigmented I mean it and you need to be really light handed with the brush you are using to ensure it does not come out too dark. The darkest swatch above illustrates this but once you’re used to it’ll be fine, like anything it just takes a bit of practice. I ensure I wipe off any excess off my brush on the side of the pot but this feature does make shading much easier with the same product so try out different techniques and see what works for you. The only negative thing I have read about the Anastasia Beverly Hills dipbrow pomade is that if it is not correctly closed after using it, it can dry up very easily. To prevent this I only open the product to use it (basically not leaving it open on the side and forget about it like I do some products) and I have even kept the original box and put it back in that – you can never be too careful, right? I’m being extreme of course but what I’m saying is be sure to close it properly else you’ll waste so much product. I couldn’t write this post without commenting on the brush I bought to use the product. The ABH site recommends this #12 brush for the dipbrow pomade so I decided to give it a try as I don’t have any brushes already that are similar. It was £14 but again, I know this is going to be of extreme quality and will last forever. I’d say if you have any kind of stiff eyeliner brush already try that before buying this but I love it – I apply the product with the bristle end and create a gentle fade with the spooley end as well as brushing some out to get it looking a little lighter. I love this brush, the size is also great for travelling and fits into your hand wonderfully when brow application can sometimes get a little fiddly. I’m definitely going to be investing in more of the ABH brushes, this is such a great product and helps me achieve the dream brows that I have always lusted over. 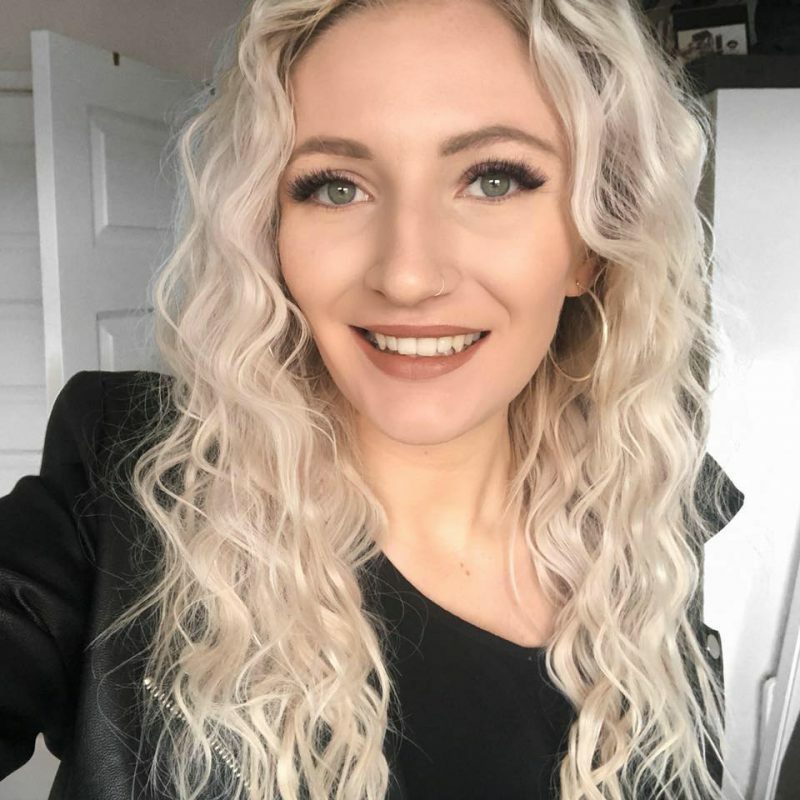 The Anastasia Beverly Hills dipbrow pomade has changed my brow routine for the better and I could not imagine not using this product to make my brows look amazing every day! It takes me about 5/10 minutes to get my brows looking like I’ve stepped out of a HD brows salon – seriously THAT great. I will definitely repurchase this when it runs out and if it ever dries out I’ll update this post accordingly but so far so good, my first ABH product has made me lust over pretty much her entire website. You can find a like to buy the product here and at £15 it is the cheapest I found it plus free delivery. 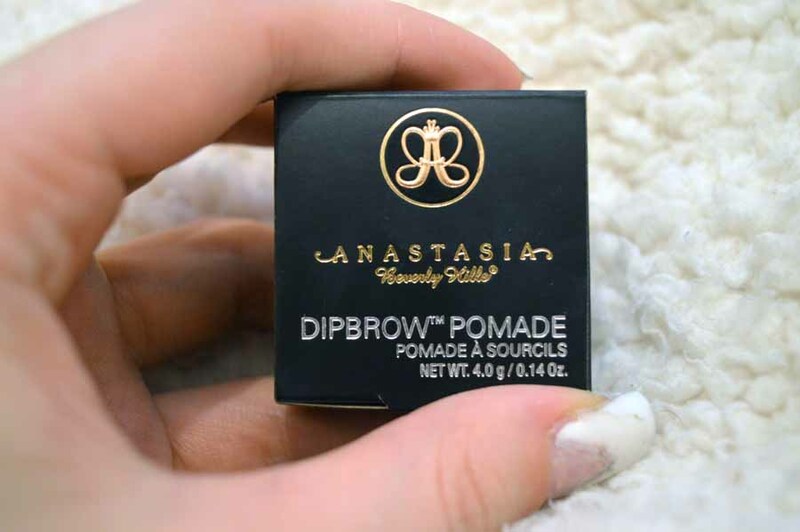 Have you used the Anastasia Beverly Hills dipbrow pomade? Or want to give it a go after reading this post? Let me know, I love reading your comments plus I’m more than happy to answer any questions you may have about this wonderful product! Next Post My favourite liquid eyeliner!